Please add an event and make payment here. Contact us to apply for free postings for scholarships/competitions. Welcome to the next installment in a series sponsored by Land8 about the LARE, presented by Cheryl Corson of Corson Learning. 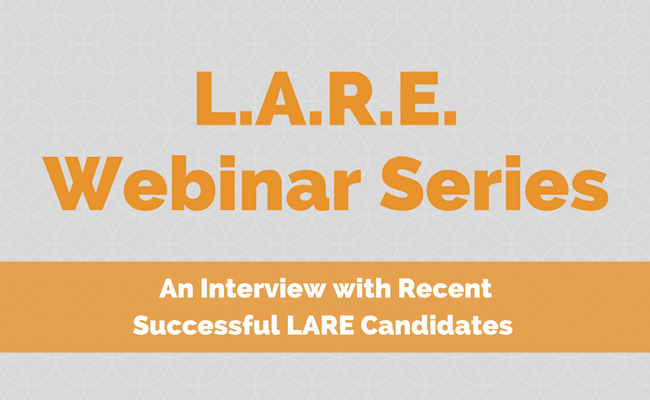 Learn from an Interview with Recent Successful LARE Candidates with a Q&A session. After registering for $10, you will receive a confirmation email containing information about joining the webinar.